When most people think of Panama, they think of the Panama Canal, but the country is about much more than just serving as a shortcut between the Pacific and Atlantic Oceans. Panama is the southernmost country in Central America and is located on an isthmus that connects North and South America. With the Caribbean Sea along one coast and the Pacific Ocean along the other, Panama is a country with lots to offer the tourist, especially the eco-tourist. The Panama Canal is an amazing feat of engineering that took years to complete. It was constructed by the US Army Corps of Engineers and was finished in 1914. The canal boasts a series of man-made lakes and at 82 km long has many channels as well as three different sets of locks. The Miraflores Locks area has a museum where tourists to Panama can soak up the history of the Panama Canal, the nature surrounding it and the logistics of building it and how it works today. There are displays, a film and an observation deck for travelers to admire the Canal and take in the sights. Panama’s tourism does depend mainly on the Canal, but visitors to the country can also enjoy the world’s first transcontinental railway that links Colon on one side with Panama City on the other, all in one short trip with plenty to see including the Canal and the rainforest vegetation along the way. Once in Panama City, travelers to Panama can see the Bridge of the Americas, which spans the Pacific entrance to the Canal. At 5,007 feet long, it serves as a connector between North-Central and South America. Ecotourism is booming in Panama thanks to its pristine rainforest that offers 10,000 different species of plants and over 900 species of birds. The Gamboa Aerial tram offers tourists a one hour ride through the rainforest canopy on a breathtaking ride of discovery. 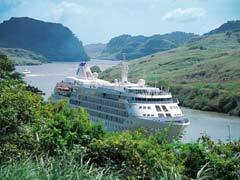 Gamboa is about halfway through the Panama Canal and some cruise lines are now allowing passengers a stop here to experience the area instead of simply going straight through the Canal. 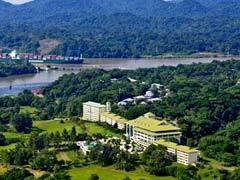 Taking a Tour of Panama, vacationers can take an eco-cruise around Gatun Lake, with a guide who will point out the many species of animals, birds and vegetation. This tour also includes a trip to an Indian Village where visitors can see an authentic Embera Indian settlement. Also included is a tour of the Gatun Locks. Tourists to Panama can also take a kayak tour of Gatun Lake which is the biggest lake in Panama and which constitutes the middle of the Panama Canal. Monkey Island is located in the lake and gets its name from the many monkey species that call it home. By kayaking the vacationer can take in the views and see over 1000 different species of plants as well as 366 different species of birds as well as helping to keep the ecosystem undisturbed and healthy for generations to enjoy. In Colon on the Caribbean side, travelers to Panama can check out the World Heritage Site of Fort San Lorenzo. Built in 1595 this fort is located on the Chagres River and offers beautiful views out to sea as well as being a historical site to explore. Chagres National Park nearby has, since 1985, been serving to protect the upper Rio Chagres Basin which is the main water supply of Panama and part of the great Canal. Here the visitor can take in eco-tours of the area and eco-adventure tours like zip lining and the like. Another World Heritage Site lies at the Portobello National Park. 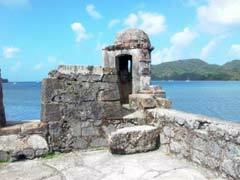 Here travelers can see the ruins of five Spanish forts and a village. It is also the final resting place of Sir Francis Drake, the legendary English sea captain and navigator. Isla Grande is a short boat ride away, but offers travelers to Panama the chance to sit and relax on the beach, take in the ocean and participate in a multitude of water sports. There are restaurants, beach bars and numerous places to stay, all with a Caribbean atmosphere. Panama La Vieja is a historical location of the oldest European settlement on the Pacific coast. 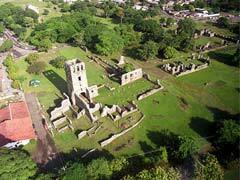 Today it is a park where travelers to Panama can see the ruins of the town, first built in 1519. There are ruins of cathedrals, homes, churches, water installations and the town hall and has been deemed a World Heritage Site because of its cultural significance. Panama tourism is a growing industry that is counting on more cruise lines creating stops in the country and not just passing through on their way to other ports. The port of Colon and a little way down the road, Cristobal have made headway in greeting passengers with beautiful port centers and shopping opportunities and are working to get more varied shore excursions in place too. For the time being though, eco-tourists love Panama for its diversity and natural beauty.